Today has probably been the most intense day I have felt for a long time. In fact this week has been like being in a barrel rolling from place to place just allowing myself to feel whatever is in the moment. I want to share some thoughts on the Unity and the Conscious Convergence. As one who experienced the Harmonic Convergence in 1987, it is a pleasure to see so many awakened beings on the planet at this time and growing each moment. I have been in a zone today with energies, participated in Bryan DeFlores’s call on Earth Ascension Team and fully activated many levels of frequencies in the past few days. So I will take it a step further and offer the energies that want to speak presently. I hope you enjoy. 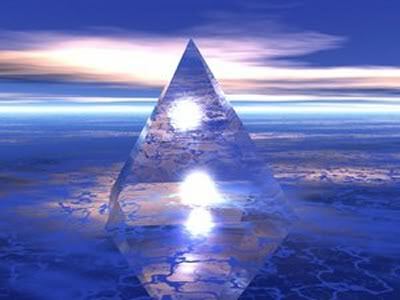 We come to you from the Ashtar Command and the frequency of Light that is transpiring onto the planet. It is a wondrous occasion that is happening presently and we wanted to share some thoughts with you. Since the Harmonic Convergence of 1987 the energies have continually transpired to a point of fully allowing humans to be awakened in each moment of their creation. The upsurge of the energies since that time has been amazing and we are so very happy to assist in the process. This weekend is not just about individuals gathering in groups but it is about souls coming together to assist each other in the process of their divinity. As this process continues, there will be great reflection in each of you. Each human being is being infused with the greatest light integration within their brainwaves to assist themselves in their own divinity. As this is occurring, many humans are feeling energies like never before and will reach out to others in Unity. It is time for the Oneness of this Earth and for other humans to feel this Oneness upon the planet. This time of the Unity Convergence is about feeling this Oneness and is a prerequisite for the time of creation when the Earth will move into a star within the 5th dimensional frequency. It is a period of complete love and acceptance and letting go of old habits that no longer serve one another. Those of you who are in complete balance with the energies are going to be thrown off your feet even more and the ones that do not have balance, well, chaos will result. It is a time to fully reflect where you are, where you are going, and move with the tide of movement. The ones that are really true to themselves and others are going to be catapulted into another stage of their awareness. Chakras are being realigned; DNA is being more fully activated; and living in another space of love is part of the process. Prepare yourself during these two days of the 17th and 18th as the influx of energies are going to be very strong. You are all sitting on a wave and the wave is bringing you into the beach to land upon the new world. This is your testing ground. What are you feeling in this moment and how are you creating your new world? These are the elements that will come to your mind in the next couple of weeks. Swirling energies everywhere and not sure what is fully happening to you. Relationships are going to be feeling this effect very deeply. Stand on your ground of the newness that you are so you can fully express yourself in the new transition that is occurring for you. Some of you are being activated on levels that you could never imagine. Your manifestations are being propelled into the newness so it is important to have everything in place. Accept nothing less of the highest for yourself as this is the first step in moving into the New World, the Golden Age. Allow the energies to fully be embraced by your being and you shall see a shift in your world. Whatever is occurring presently, move with it. Feeling different today? Embrace it – it is your new self being awakened. Many will try to dislodge what they are feeling. These are the ones that truly need your assistance and compassion. Give them your love, even when they do not want to accept it. It is your chance to really show to others what love means by expressing it every moment you are able to do so. This will be the new wave of being. You are feeling an increase in energies beyond your comprehension. Take time to share with others, to be in nature, to walk in the woods or on the beach and to create with all of this Earth to become One together. This will help balance out the energies that are occurring. Many are gathering and showing their love for one another. Express yourself in the highest sense and you shall receive exactly what you have been striving towards on this Earth. 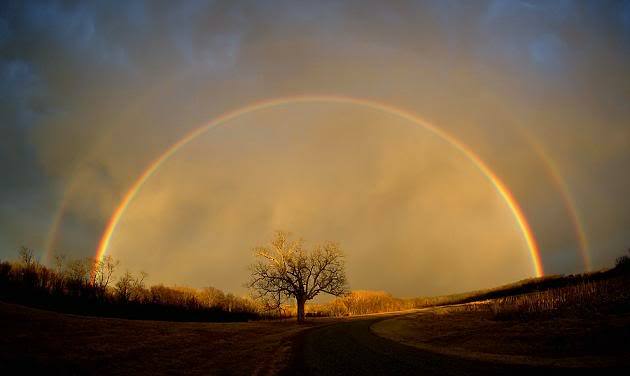 We are so pleased to walk amongst each of you as it will come soon when our creation will be your creation as we help each other along the pathway of Oneness of Creation. Expression of our Light together will shine within the Universe and the Cosmic energies. Allow this expression to shine amongst you and stay with you in the moments to come. It has been our pleasure to connect with you in this manner, in this beautiful time of creation. We Are the Ashtar Command at your service. Note: These energies are intense today and will become increasingly more so. I will be holding a call on Sunday evening, July 17th, at 7 pm EST so that we may balance these energies and allow them to be grounded. Included will be some Native energies along with discussion of personal experiences and a grounding meditation with channeling. If you are interested in joining in, please contact me via meleriessee@lifestationearth. On July 16th six years ago my sister, Cindy, left this earth plane with an extremely tired and diseased body from Non-Hodgkin Lymphoma in her lungs. Cindy was 14 years older than myself and had a tendency to be what she thought was a 2nd mother to me. We definitely had our good and bad times. Yesterday being her anniversary I had been getting the pull to visit her grave site which I barely do since I did not feel as close to her as my parents. Her daughter, Jane, was away for the week so I felt it my duty to do so in her honor. For two days I had been weepy about my own personal feelings with events happening in my life. I did not attribute her passing as part of my emotional feelings. Little did I know what Spirit had in store for me. In the morning before I left for the cemetery, Cindy came to me and said these words, “I need your help. I am not doing well.” I looked at her energy and it seemed gray, like she had dropped her frequency several notches. I immediately called on assistance of Lord Michael and his legion of light to clear any debris that she had endured. She told me that she had been assisting someone close to the family and had fallen prey to lower energies. I immediately started to see a change within her as Michael assisted with the clearing and rejuvenation energies. I stopped and bought Gerber Daisies for her as daisies were her favorite. They were a light pink color and six blooms in the bunch which to me represented family connection (the number 6). It was a very hot day and I arrived right at 12 Noon. I was unsure about finding her site as the cemetery is very large and winds around the property with lakes in the middle of it. Usually it can be flooded and very unkept but on this day, it was amazing. The fountain in the middle of the lake was even running which I have not seen for many years. My grandparents are also laid to rest in the same spot. As I got out of my car, I saw that my grandfather’s site had a flag and emblem in the ground. The county had honored my grandfather, Albert Burling, with a memorial flag from the Veteran’s Society. I do not remember if he was in the service but Pete was very prominent in the county of Camden as a lawyer, senator, and in the supreme court in NJ. That started the energy of feeling there was something special occurring. He passed away 50 years ago. I was feeling all of my family in Spirit and then more. I went over to Cindy’s site and laid the flowers around her grave marking. Her first husband, Jim is also there next to her so I mentioned his name also. Usually I am very leery of cemeteries as being one who is very open to many dimensions, many times these souls like to hang around me. It can take quite a bit of work to make sure the souls are going into the Doorway of Light. I had fully protected myself before entering this space and felt different somehow. I said some prayers to Cindy and asked that she move through the consciousness of the Innerplane or dimensional levels to higher space. I immediately saw that her energies had changed drastically in the last couple of hours and felt pleased. 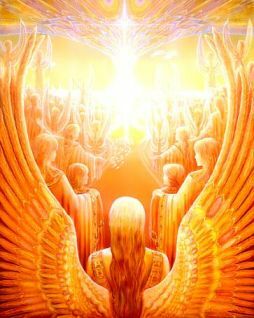 “We are the angels of the Light, we are here to assist, please come with us to your home and we will help you. Holy God of Hosts that we are. We are one, come now.” It continued for some time and my voice became very high-pitched so I knew that the highest beings were assisting. It only lasted for but a minute or so. I stood there and saw all of these souls fully going through the doorway. Streams of them, ready to be where they were intended to be in the beginning of their journey out of the body. I looked around and there is not a human being except me, the Light, the souls, my family and the land. I took a sigh of relief as I felt a huge cloud had been lifted off of me. I walked back towards my car which was only a few steps. As I did so, a huge earth mover truck came by and the gentlemen inside smiled and gave me a nod of acceptance. When interactions like this occur, I always take notice as I felt he was sent to me either via an angel, a Light Being, or ascended master acknowledging my Life. There definitely was something very different with him and we somewhat smiled as he passed. I walked down towards the pond with the fountain and felt such peace everywhere. I returned to my car and realized that I needed to do more. And in us ever reign. And make us fully live. You are the resurrection onto perfection into the Heavens. As I looked up, I saw three geese flying overhead. Geese represents teamwork, communication, and fellowship and three birds flying together always mean “In Spirit”. I also felt it could have been Cindy and both of my parents, Mollie and Art acknowledging me. I said, “thank you, thank you,” with tears flowing down my face. All of a sudden I felt my overhanging deep energies fully gone. I drove out of the cemetery with peace within my heart. I looked everywhere and say the white light filtering through all of the grave sites and felt pleased. I realized that I had been preparing for two days to go on this journey of Light. I felt I had been working on the Innerplane in other dimensional frequencies so this work could be performed. I am honored that I am able to do this work and share with each of you, my journeys of helping to Create Heaven on Earth. I am urged to tell my story of how I was able to organize special souls of the Light to come together in the Heavenly Realm. As without understanding the background of this event, one may not realize the importance of the Temple of 911. The Temple of 911 represents all the souls that perished on the ill fated day in New York City when the Twin Towers were abolished in seconds and the devastation that resulted on many levels. I live two hours from New York and the energies I experienced were more on a physical level as I felt the souls continually that needed assistance. 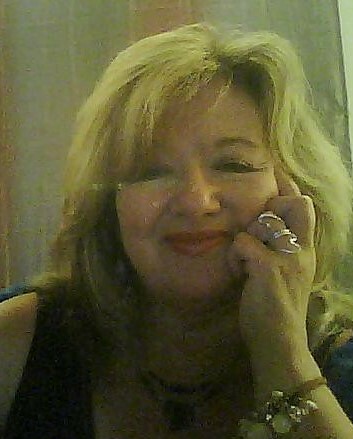 I did what I could at the time with healing circles and constantly working on the Inner Plane energies. I had been trying to get to a specific sweat lodge in Long Island for several months and an opportunity presented itself to travel to NY in October, one month just past September 11th. I was not even thinking about how close Long Island was to the Twin Tower site. A few friends gathered with me as we did a semi-fast that morning and spent a few hours traveling. We had to find places to stop as our bladders were releasing the water so it was quite interesting. It was a trip that was challenging as what we were about to experience together. When we arrived at the place where the Sweat Lodge was being held, we realized that we were early. We finally found out that we were part of the building ceremony of the energies. It was an intense day. One of my friends became very ill because she had not eaten and then the time of getting into the lodge was longer than we anticipated. The fire was extremely hot and I felt the anger. The lodge itself was not the same as I had felt when participating in other lodges but we were all intent to get started. This lodge was held by the Rainbow Warriors of Sun Bear Tribe so women were required to wear a skirt into the lodge to represent their femininity. Lodges are held in four rounds for each direction with the rocks put into the pit in the middle and covered with water and herbs. The facilitator will guide the group into prayers, song, and sometimes just speaking outwardly your prayers or releasements of the moment. As I was sitting in the Western direction of the lodge, my back was facing New York City. I found myself being in a shamanic state of coming in and going out with waves of intense light. When aware, I saw in front of me one of the rocks burning in the shape of a heart. I thought to myself how very interesting. After each round, the facilitator asked if we wanted a breath of fresh air. I usually sit in the lodge during this time and contemplate on what I am experiencing. At the third round, I completely went out of my body. I felt swirling lights and colors circling around me as I experienced souls just flying around. I realized that I was helping to release these souls into the Light. So many were completely lost. As I was in this state, I was unaware how deep I had really gone except my body was taking a great toll. When I came out of higher consciousness at the end of the third round I knew I needed to get out of the lodge as I was starting to really go into a state that the physical body could not handle. At this time, I slowly moved to get onto my feet and my skirt became wrapped up within my legs. I found myself being propelled into the fire towards the rocks. My left calf laid very calmly on top of the rock with the heart within it, and I had to bring myself back not to fall fully into the pit. Now I have done many sweat lodges and never had this type of occurrence. There was a flurry as I was struggling to get out of the lodge. I fell back and individuals came to my assistance as I crawled out of the lodge. I sat outside as people started working with me. It was a third degree burn but you could clearly see the implantation of the heart on my leg. There was one such Reiki Master that chose not to go into the last round to assist me. I was crying so deeply. It was not because of my pain of my leg, but the pain of all of the souls that were just hanging out in the astral realm. I felt so close to them at that moment as I had experienced only a minuscule portion of their pain on that ill-fated day. We sat with the other participants afterward to share our food together as this is custom with most Sweat Lodge Ceremonies. Everyone was totally amazed about what had happened, and we were sharing many stories. The pain was extremely bad but not as deep as the pain in my heart. We drove back to New Jersey and my friend was very sick. I had cautioned her not to go back in the lodge at the last round but she was insistent. Her body took a huge toll within her solar plexus. We both experienced great hardship on this day. Upon my return, I was under the care of a doctor for a couple of months. The burn was extremely bad and I had to nurture it completely as it became very infected. It finally healed very well with the help of taking herbs and healing energy being infused daily. Six months after this event in March 2002, I received an actual voice coming over my computer speakers saying “We are all ready. Let’s engage.” This type of occurrence for me is not uncommon as I was living on a horse farm in the middle of farmland. It was an amazing place to be especially for communication of the other dimensional frequencies. I immediately sat at my computer and received this message. There was a soul named, Fred, who became the spokesperson for the group. He was a Fire Chief Battalion who perished during the tragedy. He has an amazing soul. He is very down-to-earth and your typical New Yorker. He speaks in the beginning of the meditation and at the end. I do know who he is, but for his family, he has asked me to keep his last name private. So I sat there stunned but I never take any advice I receive from Spirit lightly. I set up a Yahoo group and asked individuals to join. We met each Wednesday in the beginning and then it was changed to Mondays. People would write back about their experiences of meeting these souls. Many of these souls were healed even deeper as most of the people joining in were excellent healers and energy workers. I then was guided to call the group, “The Clarion Light Beings of 911 & Beyond” as so many other souls were perishing from the war effort, changes on the earth, etc. I then extended to individuals asking their loved ones to come into the Temple. Originally, the temple would be open for several hours; we then extended it to 24 hours and then seven days a week. Many individuals on my email list are from around the world and I felt it was important along with Archangel Michael that we needed to keep it open for anyone to come in. I closed the Yahoo Group and send out the transmission directly from my email list as it was easier to do so. My leg has healed through some intense healing sessions and the heart has moved deeply into the layers of the skin. You can no longer see that a heart was there but it is deep within me. This has been an amazing journey for me. Many other light workers have told me that this is the largest group in the Universe and that the Ascended Masters wait in line to speak each week. We gather at 8 pm EST with a prayer and intending to go to the Temple of 911. Fred speaks first and introduces the Teacher of the Week. He or she will guide us into a meditation with an explanation first of what is happening individually and collectively. We are infused with the energies and then we send it into the Earth. It depends on who is speaking and how it is done. Fred finishes the session with some thoughts. For many years I did this session in the privacy of my home through channeling through the computer and emailing it to individuals on my list. This summer I am getting the push from Spirit to offer it on a LIVE call. It is recorded and then put up on my website. At various times, I may transcribe the information as some individuals prefer the written form. If you would like to join us on Monday evenings, 8 PM EST, please call 218-862-7200 Code 576094. This is a FREE call, but donations are always appreciated. This is a high energy session and I never know or plan who is speaking in the group. It is all prepared in the moment and with God’s Plan to assist us. For more information and to read some of the transmissions, please go to http://www.lifestationearth.com/17.html. I hope you will join us and if not, please do check out the recordings. They are pretty powerful and you will not be disappointed. I am presently writing a book about the Clarion and the journey I took to be able to create such an amazing group. I am honored that I have been guided to do this work and the Clarion is so close to my heart. I have been wanting to write about this energy for quite some time but never felt the right moment. We all are going through changes and some of us are happier about these changes than others. It is Now Time. Those of you who know me understand me completely. Many do not and that is fine. I accept all forms of thought towards me. I was chosen by Spirit and I accepted the challenge before I came into this body to do the work more fully than some would choose to do. I am a Way Shower, just as many of you are in the same position. I was given many gifts but not without great challenges. I have struggled as many of you have. I spent most of my life in the corporate world looked down upon because I had those ‘new ideas’. But I kept moving towards what I knew would be a higher frequency of light onto this planet. We are now moving closer into this higher frequency. We still have many pathways that will be strewn with great change, but some of us are feeling the higher vibrations running through us as a welcome change. I, for one, have been feeling these changes for over 10 years and I am so happy to receive the manifestations that are coming towards us. We are moving into the Golden Era. What does that mean exactly? It is a time when the earth shall move into the 5th dimensional frequency that truly represents the energies that were experienced during the Lemurian times. We are going to be full of love, express ourselves completely different and fully activate our desires within the physical. We will find our True Loves to work and play with. We will laugh, work, and enjoy ourselves with others. The land will be different. It will be full of animals grazing; it will be commonplace to read each others’ thoughts as communication between us will be quite different. We will no longer question ourselves as we will make the right choices in the moment. We will interact with many different types of beings. Ascended Masters that we work with now will join us in our communities. We will be teaching each other and living in Bliss. It is arriving very soon. Until that time we need to go through a tremendous shift in consciousness. We need to actualize the 22 higher chakras within our bodies and that means letting go of the duality and moving fully into Oneness. Some of us have received these higher chakras through the challenges we have faced. It is so important to rid yourself of the lower energies and that is not always easy. But it can be done. The energies presently are so very powerful. I, in my own healing practice, have seen individuals release lifetimes of fear in a matter a 15 minutes. This is miraculous. Twenty years ago it took us months to get through these emotional challenges. It is so important to do the process of healing and growing in order to receive the bliss fully in all parts of our bodies. Individuals that have been through this, calling it the Ascension Process, which I state it as De-Ascension. We are de-ascending our highest parts of ourselves fully into the physical body. The physical body is not used to these energies and as a result, there can be some challenges. Some are within the sleep, food, moods, feelings, relationships, etc. The list can go on. The main component is to accept the changes that are happening. Don’t fight it because when you do, it can become a major issue. Embrace each moment, even the ones that do not feel very well. One of the best tools to use is to incorporate the Violet Flame overlighted by St. Germain. When you utilize the flame, you will see an instantaneous removal of the issue that is happening with you. You then, must ask for a higher thought to be replaced as in joy, love, acceptance, or bliss. Do not leave yourself with holes in your field. It will make it more challenging for you at a later time. As one goes through these processes, they will find that they are feeling better. The bliss and joy is really starting to fully be activated within the physical vehicle. We are in a stage when the moments are changing very quickly so when you feel the bliss, embrace it fully within you. It is a wonderful place to be. As we are steadily moving into the Golden Era, there are going to be great challenges on the Earth as we have already seen. It could become more commonplace then we would like to think. As the Earth moves into the 5th dimensional frequencies, Golden Cities are going to be built and are already in progress on these levels. 1) GOBEAN: Arizona and New Mexico. Qualities: : Personal transformation, harmony and peace. Master Teacher: El Morya . Ray Force: Blue Ray. 2) MALTON : Illinois and Indiana. Qualities: Fruition and attainment of desires. Master Teacher: Kuthumi. Ray Force, Ruby Ray. Qualities:: Freedom and justice for humanity. Master Teacher: Saint Germain. Ray Force: Violet Ray. 4) SHALAHAH: Montana and Idaho. Qualities: Personal healing, abundance and prosperity. Master Teacher: Sananda. Ray Force: Green Ray. 5) KLEHMA: Colorado, Kansas, Nebraska. Qualities: Balance, Harmony and Peace for Mother Earth and humanity. What does this mean? Well, the timeline was originally thought to be in December 2012, but due to my intuition and other sources, it looks like more at the end of 2013 or beginning of 2014. What happens to this earth? It will split apart from the 5D world and become it’s own lower earth with birth of a new star in which those light beings that choose to ascend in their light bodies can choose to inhabit. This has been prophesied for times to come. Mary Summer Rain wrote a series of books about a Native American woman in the woods of Colorado, called ‘No Eyes’. She was blind and showed Mary back to her native routes. These books are amazing and will help to transform one into believing more than they ever thought possible. I read them in the 90’s and No Eyes walked with me as I moved into my spiritual heritage of walking the Native path. She taught me herbs and how to heal my body of a low thyroid condition. She assisted me in the times of darkness so I could find the light and was a wonderful teacher for me. We now walk side-by-side. I feel these books will change a person very deeply as they did for me. What else can you do? Well, St. Germain’s work along with Alice Bailey are very important in raising one’s vibration. Utilizing decrees for a total of 105 days will help to raise one’s consciousness into the 5th dimensional. Bryan DeFlores talks about these times and he has a bi-weekly call this summer with individuals across the globe who connect to heal the earth with messages from the Ashtar Command. His website is http://www.bryandeflores.com. He has sells activation templates for all sorts of healing and moving into a higher consciousness. They are amazing tools. Weekly Attunement Meditation – which will be posted on my website on Sundays and includes an astrological overview of the planetary changes for the week along with a decree and attunement. The first week I am introducing as a free recording and thereafter, will be $5 each week; monthly $11. The page will be available July 4th, 2010. “Meleriessee’s Energetic Boot Camp” in which I will teach you all the tools and techniques that I have acquired in 20 years. It includes energy healing work and is a three month program. I do have a sliding scale. 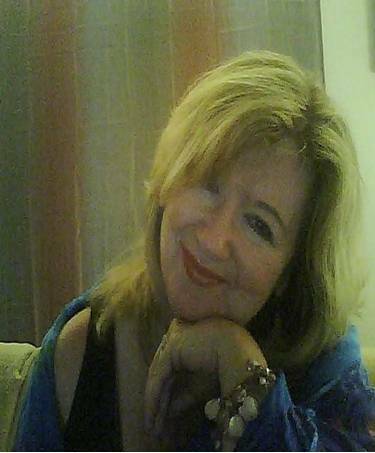 “One-on-One Ascension Coaching” This is a personalized coaching with me via telephone or Skype of setting up a program geared to your specific needs. You can choose 4, 8, 12 week sessions. Both of these programs are available for a Free Personal Consultation. I can be reached at Meleriessee@lifestationearth.com or 856.983.4951. On June 26, 2010, the day Hands Across the Sands occurred, I was given advice from Spirit to travel to Cape May, NJ to assist in the healing of our planet. As one who has been on this path for over two decades, I am very used to knowing that when such a request is made, it is for my highest good on my pathway of Mastership. I would like to give a background of whom I am before I share this story. I have been a communicator of the God Force for over 25 years and I allowed this pathway to open me up to new avenues in my life. Many of these times were very challenging, but I always knew that I would excel by going through the process. I work directly with the Ascended Masters and the Higher Beings to help others remember their divinity. In the past five years I was given the opportunity to fully integrate the energies of the Heart of God and Will of God. This was no easy task. It took two years for the entire process to be complete and within that time I nearly lost my life through not eating, not being grounded, going through a bad car accident with barely any physical problems, and continually accelerating my energies within the physical. I work with many levels of dimensions, and it truly has changed my life. For a long time I wanted to leave the planet as the sadness was so great for me. This was especially true when my sister, Cindy, and my parents all left the planet within 15 months of each other. I found myself more alone than I ever felt due to the changes in the dynamics of the family. 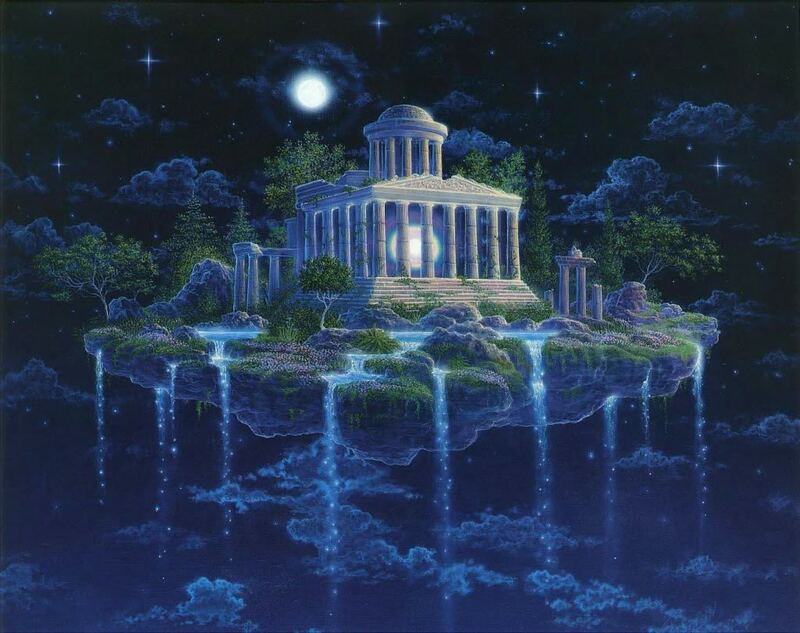 Being a gifted communicator, I have continually assisted my family members in learning about the spiritual hierarchy and all of our places within that space. I am writing a book about their journeys into the Light. Along with channeling the Cosmic Great Central Sun, I also have connected with the Creative Source of All That Is. This work helps me work with other individuals so that I can assist them in getting to their core issues. So being integrated with Mother and Father God seemed like a natural occurrence to me. As I was working with a client/friend on Friday evening, the Cosmic Great Central Sun came in to give a message and these were their words, “If you can find it to travel to Cape May tomorrow and go on the Dolphin and Whale Cruise to help send the Cosmic energies into the ocean, we would greatly appreciate it. The energies of the Hands Across the Sand are very important, but they need to reach the core of the ocean. Your help would be greatly appreciated.” How could I dare say no to such a request. I found myself traveling along the Garden State Parkway at 12 noon when the Hands Across the Sand was taking place. This highway is perpendicular to the ocean so I felt that I was a part of these individuals on the beaches. I chanted, “I AM That I AM” for about 10 minutes as I was passing the various towns down the coast towards Cape May. The energies were amazing. I arrived at the boat dock and had instantaneous connections with the people who own the cruise. Now I have taken this cruise numerous of times during the years but never had felt such synchronicity happening before. In my early days of channeling I would connect with the dolphins and whales. In fact one trip with my brother and husband, at the time, I was gifted to connect with a dolphin body as he took me to their kingdom below the sea. It had been a long time that I did any such journey with them and I was totally excited. As the boat moved through the inlet out to the sea, I felt the energies mounting. I had wonderful experiences with other passengers on board. It definitely felt like comrades meeting again although they were unaware of what my goal was on the boat. I had spoken to the narrator that I was there to communicate with the species of the dolphins and whales which she accepted but not sure if she believed. As a communicator of the Cosmic energies, I move from the Planetary, through, Solar, Galactic, Universal, Multi-Universal levels to get to the Cosmic where Mother and Father God reside along with the Creative Source of Oneness. This is something that can be challenging to do while staying grounded but I have learned how to access these dimensions pretty easily in the past year. I felt the Cosmic Forces coming through me in waves of the Platinum Ray and Crystalline energies as it was coming through my Soul Star (above the crown) and filtering into my Earth Star (below the feet) and then moving into the oceans. I was asking for complete clearing of all debris within the ocean and a doorway for all wildlife, dolphins, and whales to move to where they needed to be for safety. My first impression was great sadness. The Goddess of the Sea spoke to me in her waves and she said, “we really need everyone’s help.” I felt the pain the ocean was enduring and all of her inhabitants. I then communicated with some dolphins as they were dancing around the boat. I call to the Dolphin Community to receive the Cosmic Crystalline Energies of the Source. I felt my solar plexus spinning uncontrollably. My heart was burning with such emotion as I felt their pain and how we humans have done this to the most magnificent creatures on this planet. They are our connection to Lemuria, to the star systems, and I for one, know I was a dolphin at one time. They have such joy in the hearts for all of us; I was so pleased that I took this challenge on this day. I was still continually breathing in the Cosmic Energies into the Atlantic. The day was beautiful; a little warm in the sun but a wonderful breeze across the ocean. As we moved farther out, the energies seemed more peaceful but the ocean was murky. The narrator said it was because of the greenery and plants for the whales but I felt it was more than that. I connected with the Whale energy and what a magnificent moment for me. Their massive energy, of being the Record Keepers, of this Earth, holding all that great knowledge for the rest of us. I could feel them underneath the sea. Whale: We have felt your energies during the night. Thank you for coming. Whale: Yes, we are, but isn’t everyone? Today has been beautiful with the energies of the people, but it needs to continue. There is a hierarchy of Whales much like the God Force. We have guardians, dolphins, and warriors all helping each other. We are moving North. People in the northern areas of the country will see us as there will be an influx of the mammals until the conditions can improve, if they will. With that there was a flurry in the ocean as there had been a sighting of a whale blowing through his nozzle in a short distance. There were two other boats that were also following the sightings. I missed that one and then in another 15 minutes it happened again. 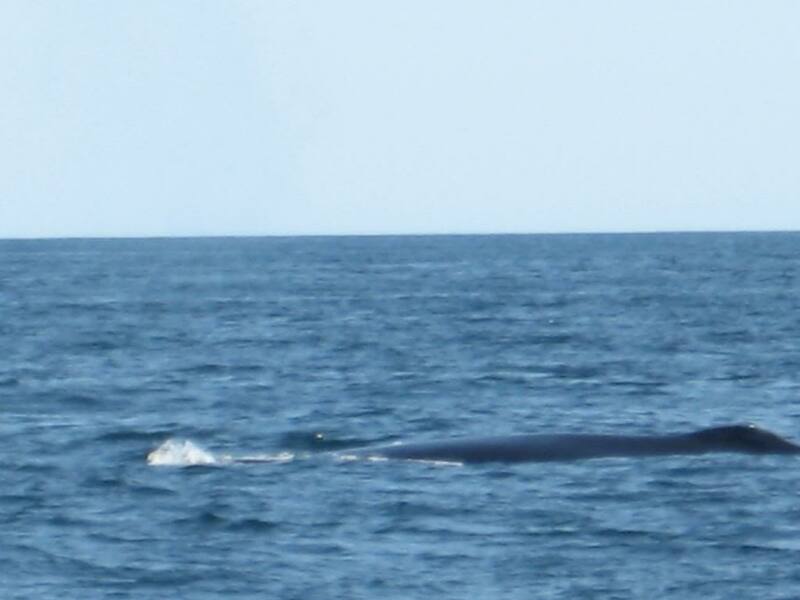 But then as I stood up, I was on the top deck, by the railing, this huge Fin Back Whale (2nd largest in the world) showed himself to us. He came up to the surface and I felt his energies go deeply within mine. He then went down and I thought that was the end; he came up again floating on top of the Sea. Everyone was screaming and yelling, the energy was amazing, and I felt I had just been given a gift that I will never forget. Everyone calmed down as now it was time to return back to the dock. We were 10 miles into the ocean so it would take some time. I thought it was very interesting that the whale decided to show himself at the precise moment before we had to leave. I sat down and connected once again. Christine: I thank you for showing yourself to us. I feel so blessed to be in your presence, to feel your essence, your strength, and love. It has been an honor. Whale: Destruction is coming. Prepare in your hearts as we are doing. The time is now to love completely. Many will never know love and then die. Experience love and the expansion of life will be your guide. We work with all of you. We thank you for coming. The waters are being helped for a 3,000 mile radius beyond North, South and Eastern waters for your efforts today. It will go to every mammal, fish, and wildlife. We are honored you came this way. We felt your God Essence and would like to work with you. I am Bebanjia, Keeper of the Whale Community. I put down my notebook and heard Spirit say, “Please no more energies. You need to rest.” I was so ungrounded and tired. I felt myself spinning as my Solar Plexus was churning. I rested my head on the bench in front of me but did not sleep. I cried deeply and felt so much emotion deep inside of me. It took quite a bit of time to come back and realized that the cruise lasted almost four hours, which should only be three. I found a place to eat and grounded my energies so I could drive 90 minutes back to my home. 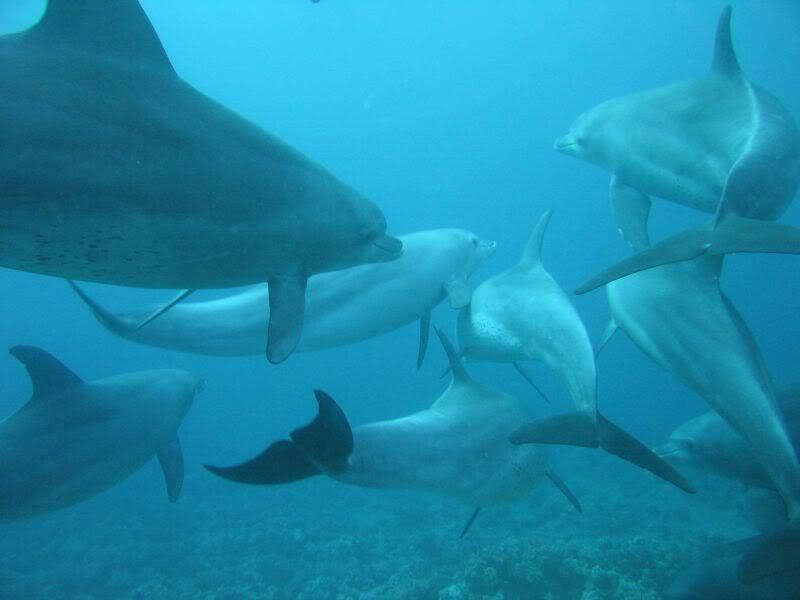 I have decided to connect with the dolphins and whales more often and will be sharing their thoughts to us. I also intend to travel on this boat a couple more times this summer and continue with the energies. This experience as changed me very deeply. As always, when Spirit gives me something to do that is out of the ordinary, I move to a new level. This week has been amazing for me by allowing these energies of these beautiful beings be within me. I felt the ONENESS with each of them and wanted to share my story with you.